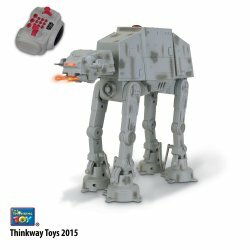 As we grow closer to the theatrical release of Star Wars: The Force Awakens, Toys“R”Us will be debuting new Star Wars toys over the next several weeks, including a line of interactive action figures from Thinkway Toys with innovative new technology that is sure to amaze fans of the saga from all generations. Star Wars: The Force Awakens Interactive AT-AT (All Terrain Armored Transport) – One of the Evil Galactic Empire’s most destructive vehicles of war, this 10.5-inch AT-AT can be pre-programmed for action or commanded via remote control. This Toys“R”Us exclusive vehicle can move in all directions with lights and sounds. 6 “AA” batteries required (not included). Ages 6 years and up. Available Now. 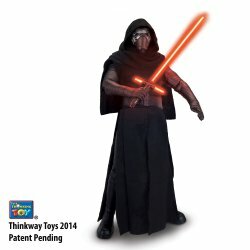 Star Wars: The Force Awakens Interactive Kylo Ren – Kids and collectors alike will love this Toys“R”Us exclusive deluxe animatronic figure which comes with a lightsaber to initiate light and battle sound effects and interactive play. To activate lightsaber battle training mode, press Kylo Ren’s chest button and the villain coaches you to join him on the dark side. Raising his left arm prompts original phrases and motorized head, arm and waist actions – with 31 points of articulation. 3 “AAA” batteries required (not included). Ages 6 years and up. Available Now. 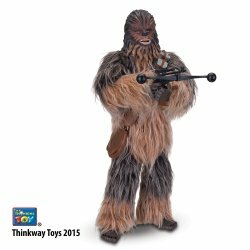 Star Wars: The Force Awakens Interactive Chewbacca – Everybody’s favorite Wookie is exclusive to Toys“R”Us, standing 17-inches tall and offers four ways to play. By raising your voice, Chewbacca will respond when in talk-back mode. When his left arm is raised, he recites more than ten original phrases and moves his head, arms and waist; additionally, his right arm prompts firing action and sound effects. 3 “AAA” batteries required (not included). Ages 6 years and up. Available beginning November 1. 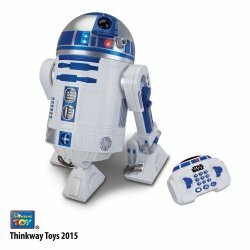 Star Wars: The Force Awakens R2-D2 Interactive Robotic Droid –Collectors and fans alike will love this Toys“R”Us exclusive, Star Wars: The Force Awakens interactive, 16-inch R2-D2 as he comes to life like never before via instant or pre-programmed commands with the help of an easy-to-use remote controller. Featuring realistic walking, spinning and head turning action in every direction, authentic movie sound effects and lights, everyone’s favorite gutsy droid will follow any Rebel or Jedi command with the press of the controller. R2-D2 will even project his favorite princess, Leia, on the wall when prompted. 8 “AA” batteries required (included). Ages 4 to 12 years. Available beginning November 1. 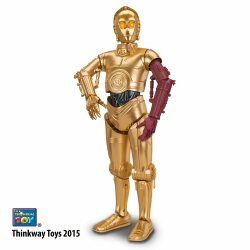 Star Wars: The Force Awakens Interactive C-3PO – This highly interactive Droid is exclusive to Toys“R”Us and has voice, action, lights and sound effects with three ways to play. 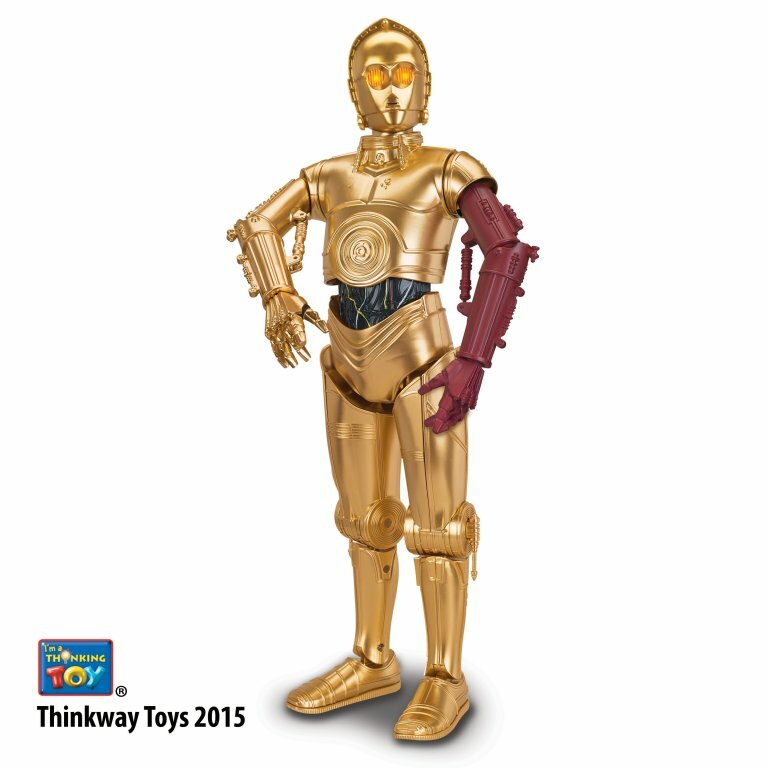 In action mode, C3PO will talk and move, he can even tell whether or not he is off-balance. In talk mode, the droid will echo original voice and animatronic actions. Additionally, the built-in microphone prompts talk-back mode, where C3PO will respond to your voice. 3 “AAA” batteries required (not included). Ages 6 years and up. Available beginning December 13.